Independence has given our Training Team the freedom to draw on 35+ years experience training riders of all abilities, without the restrictions imposed by a governing body. 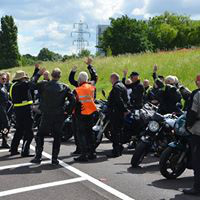 We’re passionate about our riding (about us) and proud of our proven track record successfully training many hundreds of riders to achieve IAM, RoSPA or higher qualifications. Riding a motorbike with confidence is incredibly satisfying and great FUN, a precious skill that has to be earned. Passing your DVSA test is rewarding but only the first small step to becoming a skilful rider. Whether you’re new or returning to riding, upgrading to a bigger bike, had a scare, or just enjoy your riding and want to be the best you can, we’ll help you. We have the experience and flexibility to provide the very best training tailored to your needs. All EAMG Observers are required to hold a current RoSPA Gold qualification. 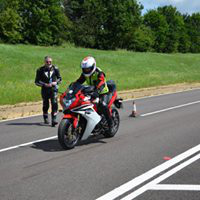 Their training is based on RoSPA’s Motorcycle Diploma (rospa.com) that includes briefing and debriefing skills as well as riding skills; training can take several months, even a year. We promise the best. Our Training Team is headed by four Senior Observer Assessors (SOAs). 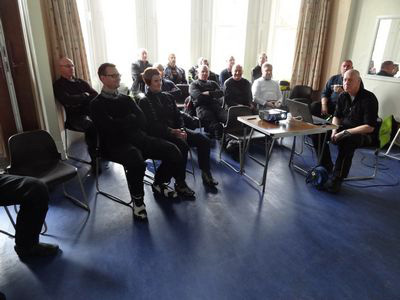 Their combined experience draws on the collective knowledge of former Observers, many of whom held the coveted Police Class 1 qualification or been IAM/RoSPA examiners. Senior Observers (SOs) and Observers (Obs) are trained and assessed every two years by the SOAs. All observers take responsibility for Associate training. Further Training, why should I bother? Anything that’s worth doing is worth doing well. You are reading our website so there’s a good chance you are considering taking training. This is worthwhile and fun. What ever bike you ride, you need to ride it confidently, safely and enjoy the experience. The Training Coordinator will be your first point of contact. You will join as an Associate Member, complete an introductory New Associate Training Process (NATP) explaining your training options in detail and be assigned to an Observer. What training activities are offered? One to One Training: You will be assigned to an Observer who will make first contact with you to arrange an assessment ride. Your Observer will complete a Ride Report summarising your ride and recording the date for your next meet-up. Future rides will be tailored to your requirements. Your progress will depend upon your learning abilities and commitment; Observers love enthusiastic Associates. Flexible Observed rides: If you are keen to progress, you can inform the Training Coordinator who will endeavour to arrange for you to be assigned to additional observers who have capacity. Associate Group Training (AGT): AGT’s are held on the Sunday following the first Tuesday (Group Night) every month. AGT’s consists of a short Roadcraft talk, usually delivered by an Observer. You will be then be assigned to an Observer, other than your assigned Observer, giving you a valuable opportunity to obtain another opinion of your riding. Slow Riding and Machine Handling: Carried out at a ‘safe off-road’ venue, Associates and Full Members can practice skills that include: figure of 8, U-Turns, slalom around cones, swerve test, braking including emergency stops, manoeuvring, picking up techniques, counter steering and machine check. When I pass my IAM or RoSPA test, can I go further? Full Member Training (FMT): Four FMTs are organised each year during, Summer Time. These provide quality training value and fun. You will not be riding in one large group; each Observer taking two Full Members on pre-planned routes covering 180 to 200 miles. A ride report will be completed summarising your riding; an excellent opportunity to ensure your riding standards are maintained. Further Training for Full Members (FTFM): You will be assigned to an Observer, when mutually convenient, rides will be arranged on a one to one basis. Is Membership all about training? Why wait? Come and join us.